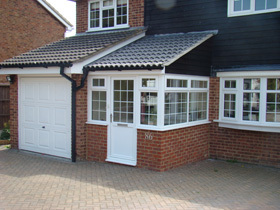 We offer you UPVC and aluminium conservatories in a wide range of styles. 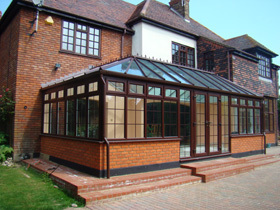 Victorian, Georgian, Edwardian conservatories are popular choices and we can always design a bespoke conservatory to meet you particular needs. Select an energy efficient window in the style that best matches your home, from TWS. From the popular casement design, through tilt and turn to the elegant sliding sash, we have double glazed windows to enhance and insulate your home. 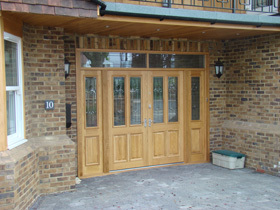 Our GRP Composite doors are extremely strong and resilient. 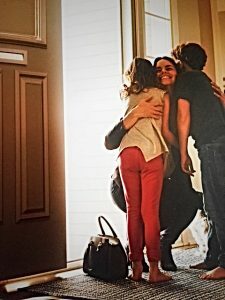 They have the appearance of a traditional wooden door. Unlike wooden doors they retain their shape – with a 25 year guarantee against warpage or distortion. 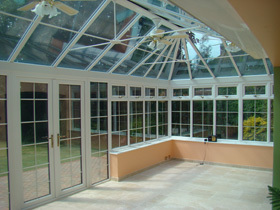 With brick foundations and pillars, an orangery is more substantial in construction that a conservatory. The orangery’s structure offers scope for enhanced detailing of the soffits and other features, to include special lighting and other detail. With over twenty five years experience of trade double glazing business, TWS has a keen appreciation of the requirements of the trade. Our trade prices are competitive and we are highly reliable in terms of meeting deadlines for installation or supply only. Trade Window Services has developed a strong reputation as a sub contract installer of double glazed windows and doors for builders, construction companies and local authorities in the Essex area. 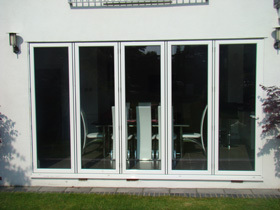 We use major manufacturers systems for both UPVC and aluminium, which is valued by architects and other specifiers. Please see our Trade page for more details and also see Testimonials page for testimonials relating to our trade installation work. 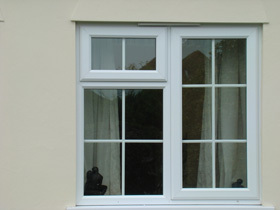 Secondary double glazing is an increasingly popular double glazing option. Secondary double glazing offers excellent value when the energy savings it provides are compared to its cost. Please see – Secondary Double Glazing page. We install shop fronts for a variety of commercial and retail businesses. These include shops, estate agents, restaurants and cafes. We also undertake larger glazing projects including flats, office blocks, schools and colleges. PVCu or aluminium frames are available in a range of specialist colours. Please see Coloured Frames for details. Trade Window Services can now offer excellent prices for A Rated Energy Efficient double glazed windows. For details of how Energy Efficient windows can save you money and reduce your carbon footprint, visit Energy Ratings page. Our branded products range includes a collection of designer doors from Smart, which are as stunning as they are functional. We have a large selection including some of the highest performing door products on today’s market. A choice of style, design, glazing and colour comes hand in hand with uncompromising security and thermal efficiency. Traditional or unique and distinctive, it’s up to you! Security of the doors and windows to your home is of vital importance. Please see Security Page. Before you replace your double glazing because of problems, talk to us about our double glazing repair service – we could save you thousands….! !